Classic album with so many joints you could shake a stick at! 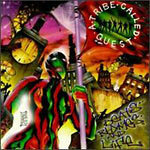 Some of Tribe's best work! Produced by A tribe Called Quest and The Ummah.